Looking for a fun way to boost your child’s confidence and expose them to the performing arts? Look no further than Spring 2016 Musical Theatre and Acting classes at Shine! 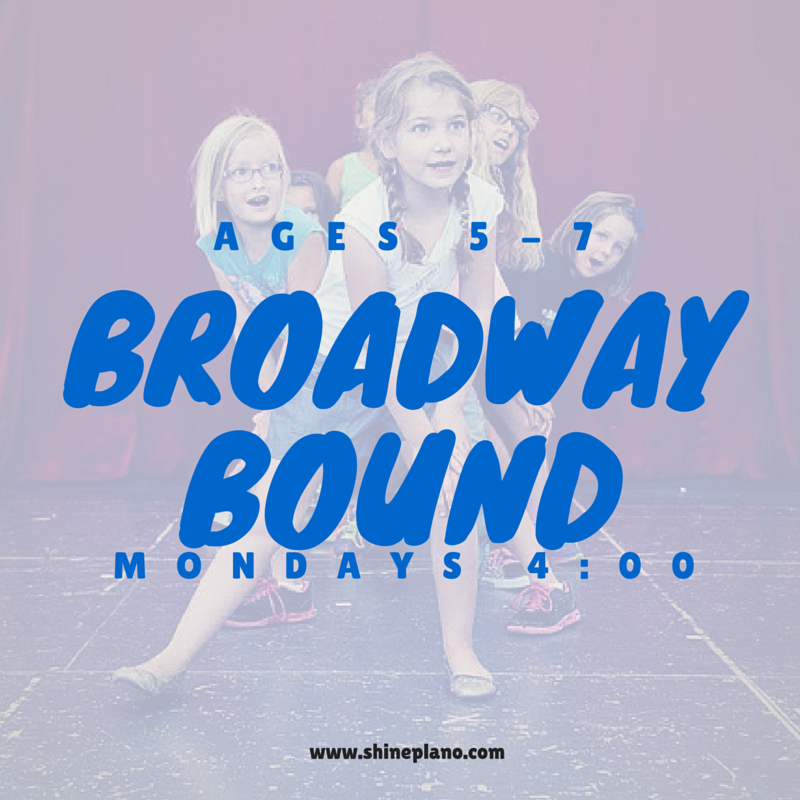 Broadway Bound is a great option for kids ages 5-7 who are interested in auditioning for productions at Shine in the future! Other Acting and Musical Theatre classes are offered for students ages 8-13. Register today by clicking on the “classes” link on the main menu.